Ride For Relay | Whats Happening? 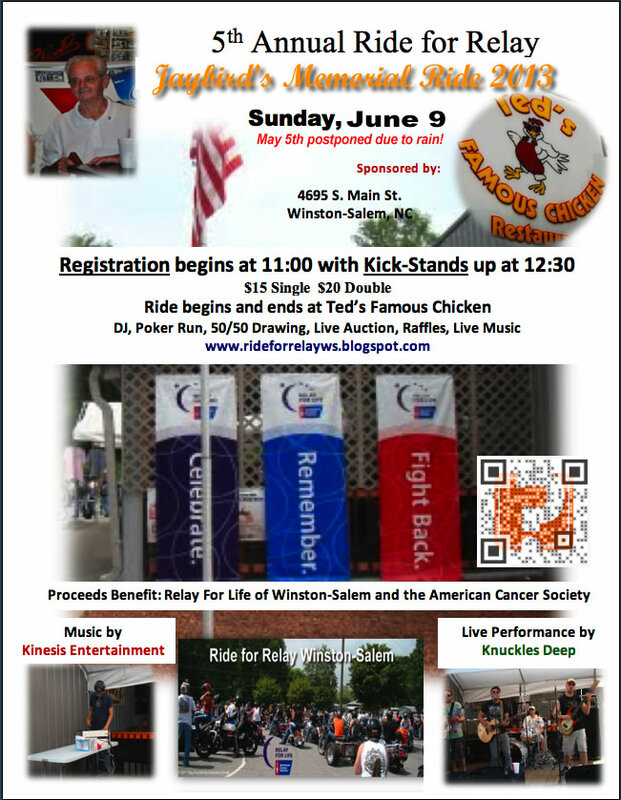 All Day Event to benefit Cancer Services of Forsyth County presented by Pistol Grip. Bands all day on the main stage and at Freeborne’s includes Hedtrip, White Knuckle black Out, Morehead City, Donnaha Station, The Norm & The Joel Ferris Band. 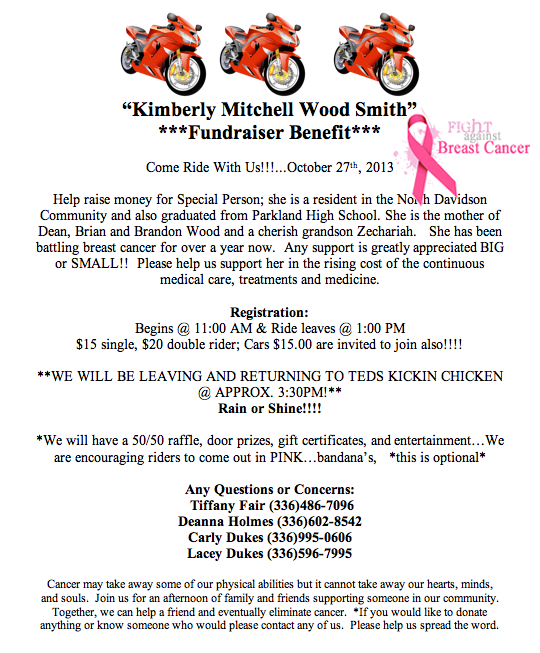 We’ll have a Bikini Bike Wash, Bike Show, lots of Vendors and more. For information phone Tracy @ 336-997-3162.